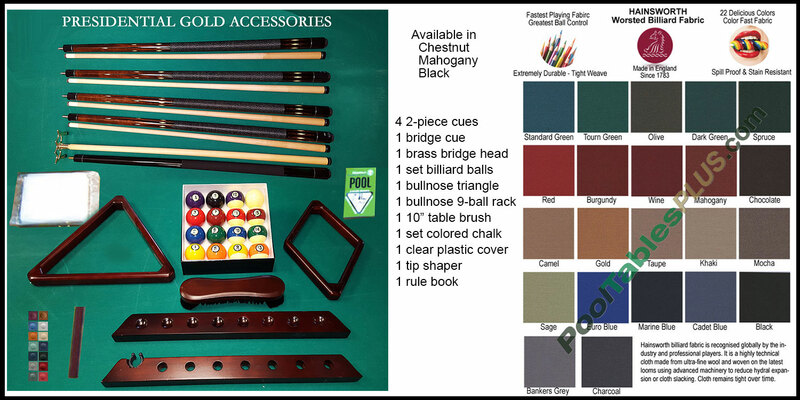 The Franklin Pool Table, is made in Portland, Tennessee by Olhausen Billiards. 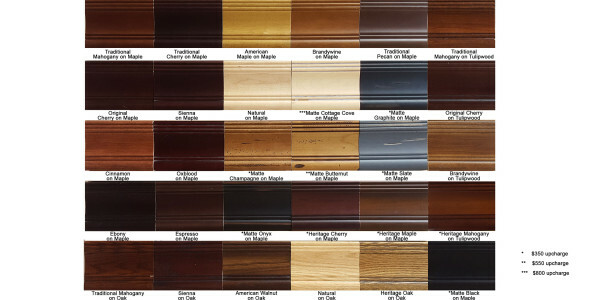 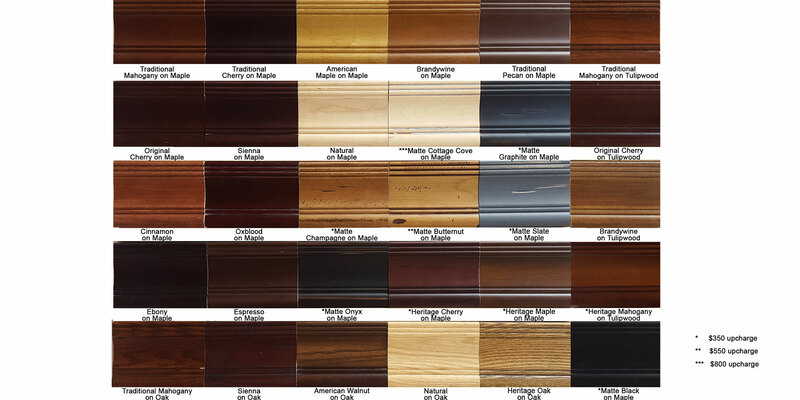 It is part of their Signature Series and comes standard in solid oak or maple with wide cavalier rails. 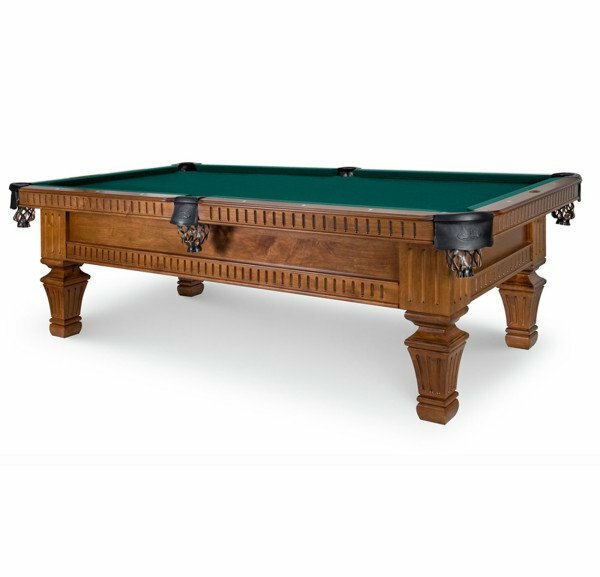 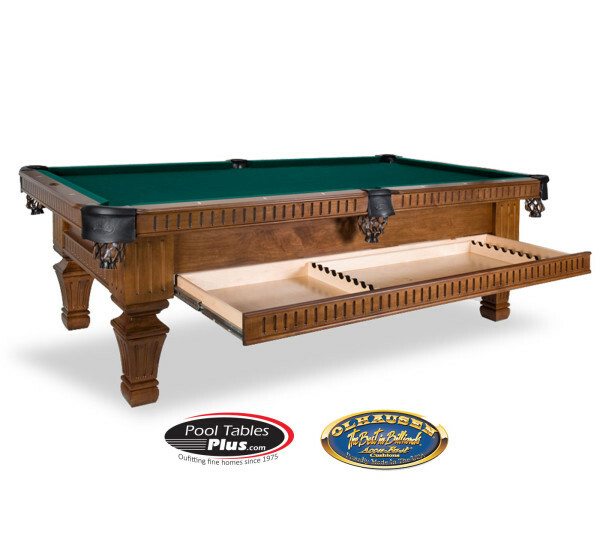 The Franklin Pool Table has the vertical lines of dentil molding completely surrounding the solid wood table along with the design falling on the square fluted legs to pull the piece together. 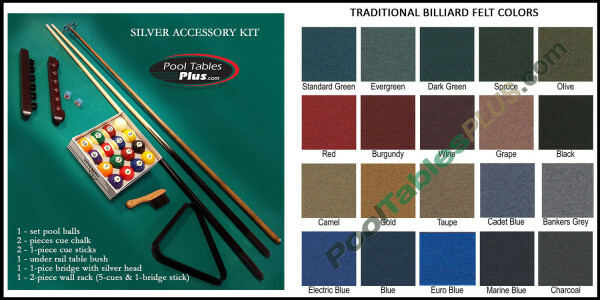 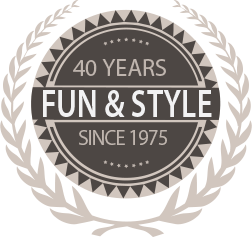 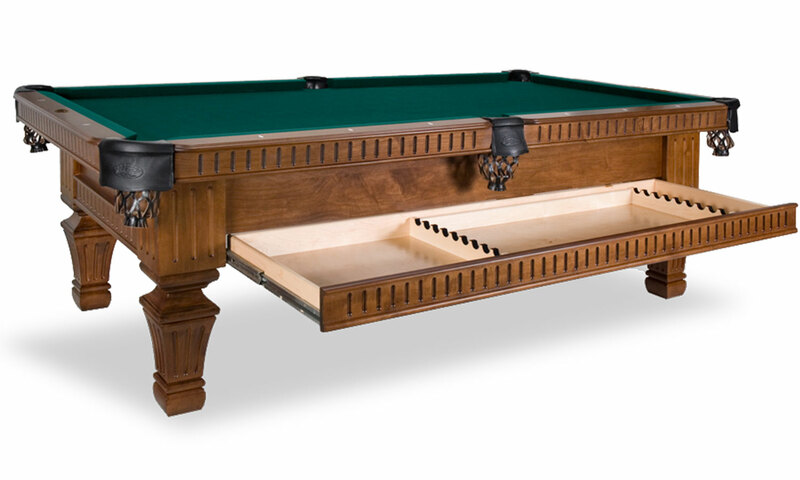 It is designed with a functional storage drawer for cue sticks and pool balls for the all-in-one efficient table. 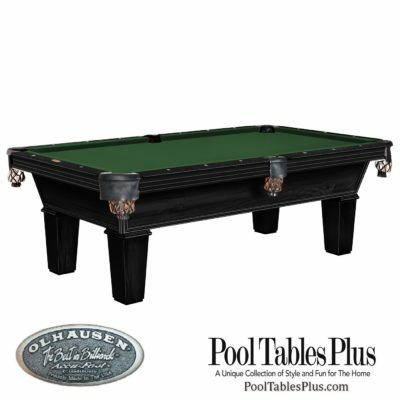 Priced out in a 8′, this table is available in any size with many standard finish options available.